FAR CRY 5 Credits: Brazil official recharge, 100% Safe,professional FC5 Credits Online store. 1. Please Provide Us Your Uplay Account Information: (The Uplay Account Should A Be Email Address) We Will Deliver The FC5 Credits To Your Account. 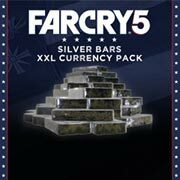 Far Cry 5 Credits is the currencies in-game, which can be used to purchase various cosmetic items, prestige weapons, vehicles and skins for your character. Sometimes players want to know about how to earn more Far Cry 5 Credits for free? Why not check out the farming Far Cry 5 Credits Guides. The more Far Cry 5 Credits you have, the best Epic weapons of Far Cry 5 you can craft. 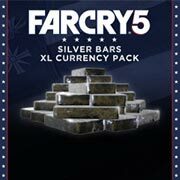 By the way, here is another way to Buy Far Cry 5 Credits and Far Cry 5 Silver Bars quickly.